Last summer, Lucy's and Ben's lives changed in an instant. One moment, they were shyly flirting on a lake raft, finally about to admit their feelings to each other after years of yearning. In the next, Trixie-Lucy's best friend and Ben's sister-was gone, her heart giving out during a routine swim. And just like that, the idyllic world they knew turned upside down, and the would-be couple drifted apart, swallowed up by their grief. 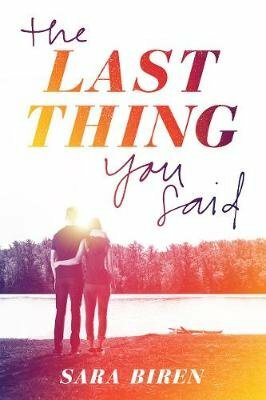 Now it's a year later in their small lake town, and as the anniversary of Trixie's death looms, Lucy and Ben's undeniable connection pulls them back together. They can't change what happened the day they lost Trixie, but the summer might finally bring them closer to healing-and to each other. All the feels in one book!